It should not surprise anyone that people make mistakes. Some government leaders are even expected to do more mistakes than the average person although they are elected officials (Not a lot of brain surgeons decide to try and get elected to a political position). However, when Western leaders in both the USA and in Israel keep on making the same mistakes over and over again, it bothers me and should bother you. I am talking about the Boomerang Effect. This is when the Western leaders decide to take a side in one conflict or another and invest their hard earned resources and time to make one side win over the other side but with the eventual effect of making that side their future enemy. What am I talking about? I will give you some examples. Most recent is the new war I predicted will happen over a month ago in Northern Mali. Today, as you may have heard, the Al Qaeda elements in the north of Africa took over a large gas field and are now holding hostage over 41 foreign citizens. That not the news I would just repeat in this blog. What's more interesting is that a large part of these forces are made out of the Tuareg's; a nomadic tribe mostly roaming the Sahara and always wishing for Independence. 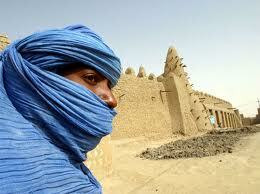 The Tuareg's are mainly good people. They usually do not affiliate with the Islamist Fascists. However, they are also opportunistic A few years ago, the US CIA has trained many Tuareg fighters in American style special forces tactics. These tactics are now going to be turned back on the French forces working in the area which is not good. Sound familiar? We did it several times before and suffered severe consequences. 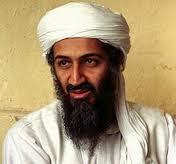 Osama Bin Laden was trained and operated by the CIA in Afghanistan. 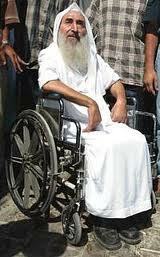 Sheikh Ahmed Yassin the spiritual founder of the terror group Hamas was trained and supported against the PLO originally by the Israeli Mossad. Cant we learn from history? The only glimmer of hope is that we still have human intelligence elements within the Tuareg tribe leadership and could employ these assets to turn this conflict around for us.